A home inspection is a professional evaluation and visual, non-invasive inspection of all readily accessible systems and components of your home. Well, it depends: how many surprises you can afford? 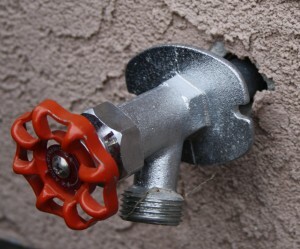 Al kidding aside, home inspections are not mandatory, they do however make very good sense. Knowing the condition of your home or potential home allows you to make decisions with confidence and peace of mind. It also allows you to be proactive and help keep your valuable investment in good repair. How are pre-purchase, pre-sale and maintenance inspections different from each other? The process and scope of a pre-purchase, pre-sale, and maintenance inspection are identical; they are just done for different reasons and used in different ways. An average inspection takes anywhere from 3 to 4 hours, but can vary depending on the size, age, and condition of the property. No, you don’t have to be present. Can a house “fail” an inspection? No. A professional home inspection is the examination of the current condition of the property. It is not a pass or fail process. It is not an appraisal nor is it a municipal code inspection. Is there anything I need to do before the inspection? 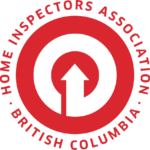 Please review the Scope of Inspection and Code of Ethics and the Home Inspection Contract. It describes the scope of the inspection, its limitations, and it establishes my responsibilities to you. If you have any questions please give me a call prior to the date of inspection. Can you provide a verbal report? I will spend as much time as you wish after the inspection to discuss what was observed. However the discussion is by no means a substitute for the written report, which will contain additional information such as pictures, supporting literature or important material based on research done after I have returned to the office. Can you provide an immediate on-site written report? It takes time to write a high-quality report and so I do not provide on-site written reports. It is in a narrative, easy-to-read and understand format, explaining findings in great detail. It is not a check list, which can be cryptic and lack critical information. The report also comes with many colour photographs. You will receive your report within 24 hours following the inspection. The report will be emailed to you in PDF format. Upon request a hardcopy of the report can be forwarded to you in a three-ring binder at no extra charge. Who will have access to the report? The report is yours and no one else will have access to the report without your permission. If you want a copy of the report sent to someone other than yourself, please provide the recipient’s contact information in the appropriate section of the contract we will sign at the start of the inspection. Can I contact you with questions after I receive the report? Absolutely! Please do not hesitate to call or email me at any time with any questions you may have. Payment is due at the conclusion of the inspection. I accept cash, cheque, all major credit cards, and e-transfers.